Never really gave much thought into investing in good hair clips, but after breaking my 3rd Sephora Super Clamp, I saw the light. Plastic hairclips all pretty much look cheap and tend to break easily. 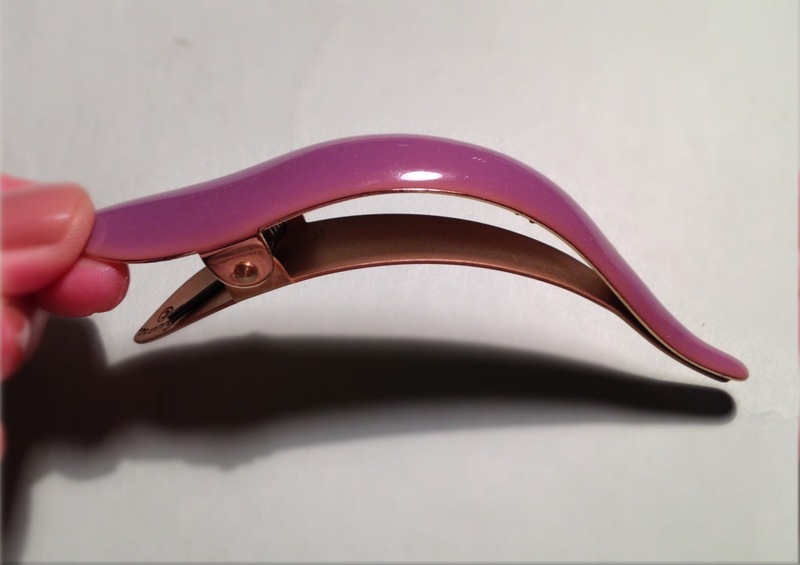 The Sephora super clamp had a comfortable design that didn’t dig into your head if you leaned your head against something, but the plastic covering is glued on with clear glue and tends to fall off and the prongs have broken off on me a couple times now. For a $20 clip, I expect much more. This new clip by Ficcare is hand painted and hand made in Brazil and is designed to not break and to hold hair really tight. The gold metal base feels just like the back of my iPhone 5 while the surface is made of hard enamel. The hinge is such that it doesn’t ever slip out of place. The best part is that the spring is incredibly strong, enough to hold my thick hair in windy NY weather. I think I’m going to get a lot of use out of these!